January 30, 2019 / Modified jan 30, 2019 9:15 a.m. 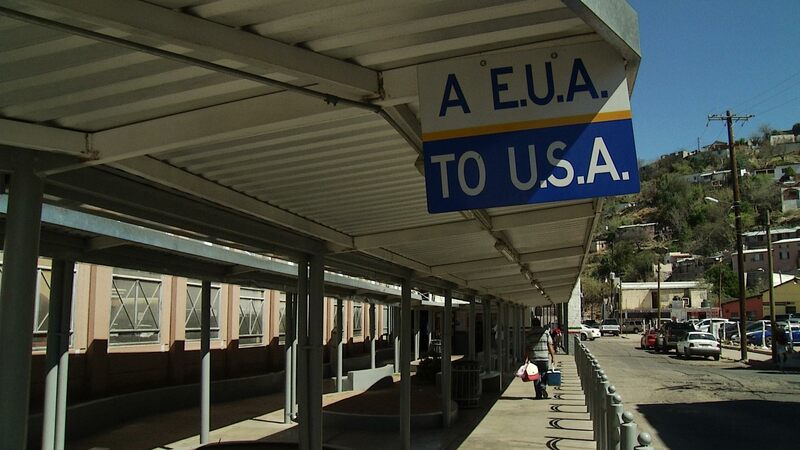 Walking passageway to a port of entry on the U.S.-Mexico border in Nogales. An overwhelming majority of migrants traveling through Mexico to reach the U.S. border are coming from Honduras, according to numbers released Sunday by Mexican immigration officials. About 73 percent of migrants requesting a visa to transit through Mexico in January were from Honduras, according to the National Institute for Migration. The top three countries were Honduras with 8,276 applications, Guatemala with 1,516 and El Salvador with 1,330. There were 11,366 applications overall, the migration institute reported. A caravan of migrants reached Mexico in January as some 3,000 people, also mostly from Honduras, have been stranded for more than three months in Tijuana, across the border from San Diego. The new administration of Mexican President Andres Manuel Lopez Obrador has facilitated entry of migrants into Mexico by making it easier for them to receive temporary visas to transit through the country. The biggest concentration of migrants has long been from Honduras, said Maria Jose Lazcano, with the Guadalajara-based migrant advocacy group FM4. "It has to to do with the violence because of gangs, with the economic crisis in their country and also family reunification," Lazcano said.